Our practice has been in the Cedars Sinai Medical Towers for almost 40 years, under the guidance and leadership of Dr. Myles Cohen. We are a multidisciplinary physician group that includes orthopedic and plastic surgeons, specializing in upper extremity, hand, and reconstructive surgery. We strive for the highest standards of care on a personalized level. We are involved in cutting edge research, and provide this latest technology in treating our patients. Our office has been providing the highest quality of care for the past several decades based on our dedication to excellence and as exemplified by our reputation in the local and international community, patient care and research awards and grants, and participation in the Cedars Sinai Orthopedic and USC Plastic Surgery training programs. We are happy to offer our expertise should you wish a consultation. Myles J. Cohen, MD, is a board-certified orthopedic surgeon. He has been on the staff of Cedars-Sinai Medical Center since 1975 and a member of Cedars-Sinai Medical Group since 1995. Dr. Cohen serves as director of hand and upper extremity reconstructive surgery at the Cedars-Sinai Orthopaedic Center, which is recognized as one of the top orthopedic centers in the nation by U.S. News and World Report. He holds dual clinical professorships in surgery at the University of Southern California’s Keck School of Medicine and at Cedars-Sinai Medical Center. 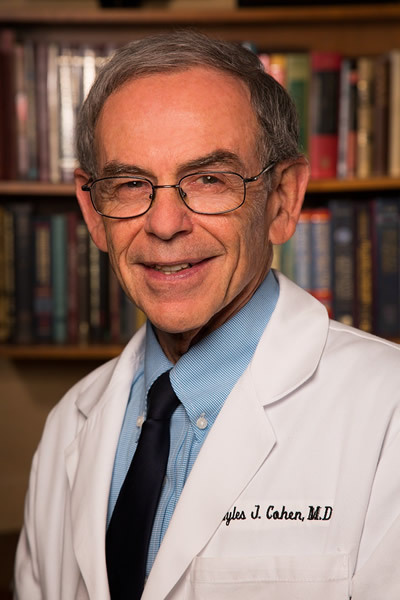 Dr. Cohen has served as chief of surgery at Cedars-Sinai and has been a member of the Medical Executive Committee and the Board of Directors. He was selected as one of the Best Doctors in America and was chosen as one of the Top Surgeons in America by the Consumer Research Council of America. 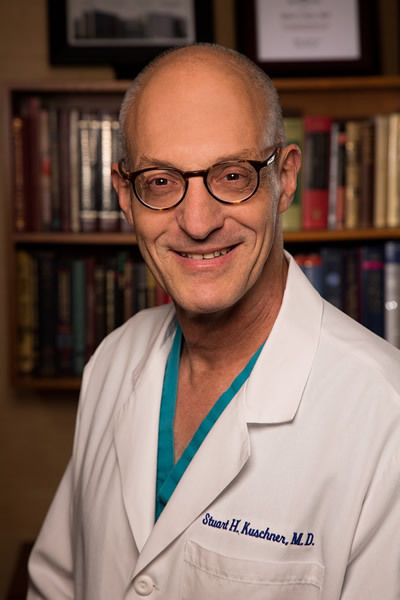 After receiving his bachelor’s degree from Princeton University, Dr. Cohen earned his medical degree from Columbia University College of Physicians and Surgeons. He completed his residency in orthopedic surgery at the University of California, Los Angeles, and his hand surgery fellowship at the University of Louisville, Kentucky. David Kulber, MD, FACS, is board certified in hand surgery and plastic surgery. 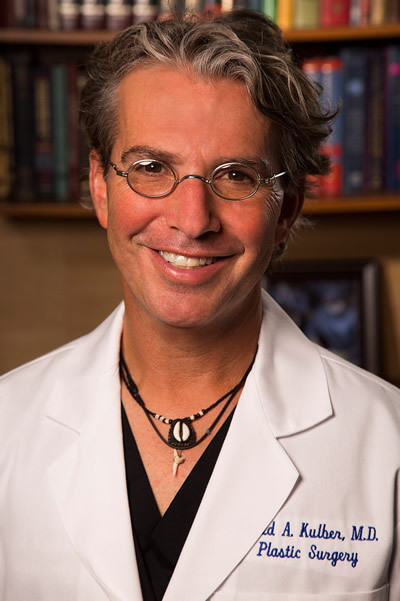 As a longtime member of Cedars-Sinai Medical Group, his practice covers the full spectrum of plastic, reconstructive, hand and aesthetic surgery. He is the director of the Plastic Surgery Center at Cedars-Sinai Medical Center and a professor of plastic surgery at the Keck School of Medicine of the University of Southern California. He is also a member of the Cedars-Sinai Orthopaedic Center, which is recognized as one of the top orthopedic centers in the nation by U.S. News and World Report. Through his commitment to research, Dr. Kulber is involved in groundbreaking studies involving stem cell-based bone and soft tissue regeneration, innovative surgical approaches to arthritis in the hand, structural improvements in breast reconstruction and the use of plasma to help heal joints. He has been awarded nearly two dozen research grants, published more than 115 papers and abstracts, and presented his findings nationally and internationally. He has appeared on half a dozen television shows as a subject matter expert. Dr. Kulber received his medical degree from the University of Health Sciences/The Chicago Medical School. He completed internships, residency and fellowships at Cedars-Sinai Medical Center, New York Hospital-Cornell Medical Center, University of Maryland R Adams Cowley Shock Trauma Center, Hospital for Special Surgery in New York and Memorial Sloan Kettering Cancer Center. He received his undergraduate degree from UC Berkeley in European and medical history. By some measures life can be found in the small things – using chopsticks to savor fugu in Tokyo, right-clicking a mouse, shaking another man’s hand, plunging your whole hand in your right pants pocket to fish out keys. I want to say ‘thank you!’ to you for the things I am able to do. I don’t know in what way I can be of service to you, but call on me at will. You can start by sending me a some of your favored charities – Doctors w/o borders or hospitals in Africa, for example. Just let me know. Stuart H. Kuschner, MD, is a board-certified orthopaedic and hand surgeon with Cedars-Sinai Medical Group and Cedars-Sinai Health Associates. In practice for more than 25 years, Dr. Kuschner specializes in the treatment of acute trauma of the wrist and hand. His expertise includes carpal tunnel syndrome and the reconstruction of complex injuries of the wrist and hand. Dr. Kuschner is a member of the American Academy of Orthopaedic Surgery and the American Society for Surgery of the Hand. He is board certified by the Diplomate American Board of Orthopaedic Surgery and holds a Certificate of Added Qualifications in Hand Surgery. He has published more than 45 articles in peer-reviewed journals, has contributed to non-peer reviewed publications and has written chapters in several books on hand surgery. Dr. Kuschner earned his medical degree from New York University School of Medicine and his undergraduate degree from Harvard University. He completed an internship in general surgery at Mount Sinai Medical Center in New York, and his residency in orthopaedic surgery at the Hospital for Joint Diseases in New York. 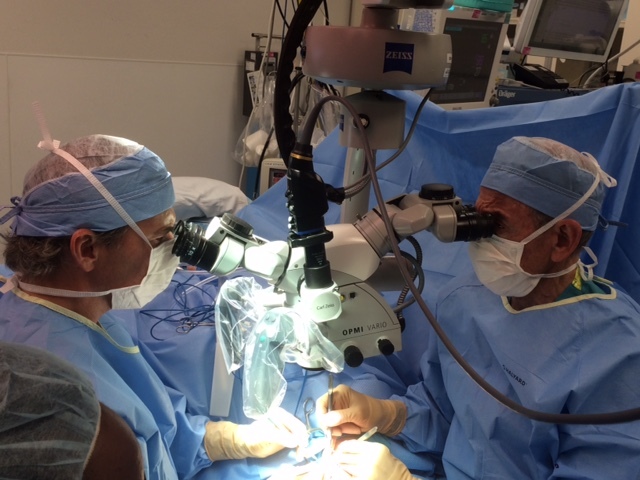 Dr. Kuschner completed his fellowship training in hand surgery at Massachusetts General Hospital. He has been a Clinical Professor of Orthopaedics at the University of Southern California’s Keck School of Medicine since 2001. 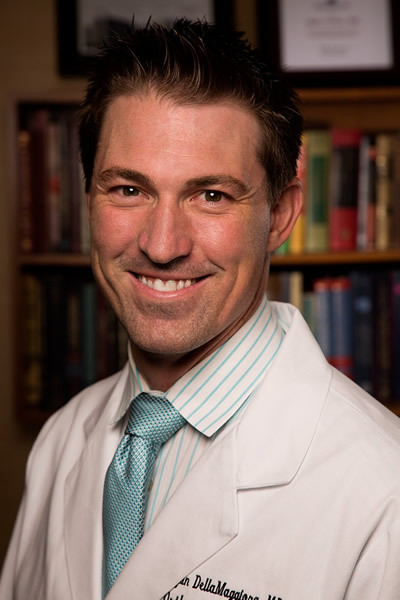 In 2018, as the practice was voted the best teaching office for USC Plastic Surgery Residents, Dr. Kuschner was voted the best educating doctor out of the entire faculty. Ryan DellaMaggiora, MD, is a board certified orthopaedic surgeon specializing in reconstruction of complex injuries of the hand and upper extremity; trauma, upper extremity; sports injuries of the upper extremity; and sports medicine. In addition to his practice, Dr. DellaMaggiora has contributed to numerous publications on orthopaedic surgery and sports medicine. He is involved in multiple research studies with his colleagues, ranging from innovative surgical solutions for arthritis of the hand to stem cell-based applications for wound regeneration. Dr. DellaMaggiora earned his medical degree at the Keck School of Medicine at the University of Southern California, and completed his internship and residency training in orthopaedic surgery at USC. He completed his first fellowship training in sports medicine and shoulder surgery at the University of California at San Francisco and a second fellowship in hand and upper extremity surgery at the University of Southern California, Los Angeles County Hospital. Dr. DellaMaggiora also donates his expertise to improve the lives of children and families, both here and abroad. He has contributed his time and talent operating on behalf of Mending Kids, International, and has volunteered in Jalisco, Mexico, at hospitals and health clinics through the Universidad Autonoma de Guadalajara. Dr. DellaMaggiora also served as an English teacher for a continuing education program through the Universidad de Guadalajara. Dr. DellaMaggiora speaks fluent Spanish. 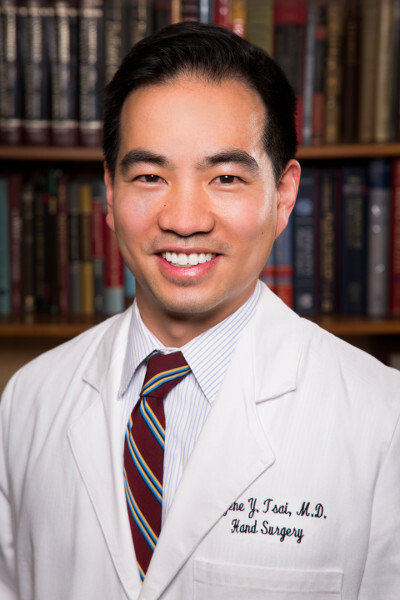 Eugene Y. Tsai, MD, is a board certified orthopaedic surgeon with subspecialty training in hand and upper extremity surgery. He is an assistant professor of orthopaedic surgery. His interests include trauma of the upper extremity and minimally invasive surgical techniques including endoscopic carpal tunnel surgery and arthroscopy of the hand, wrist, and elbow. Dr. Tsai received his medical degree from Columbia University College of Physicians and Surgeons in New York City. He is a native of Southern California, attending Harvard-Westlake for high school. He went on to Northwestern University for college where he studied economics and religion. He completed his orthopaedic surgery residency at Case Western Reserve University in Cleveland and his hand and upper extremity surgery fellowship at the Tufts/New England Baptist Hospital Combined Fellowship in Boston. Honors Dr. Tsai has received include being inducted into the Alpha Omega Alpha Honor Medical Society, receiving the Carter Makley Award for clinical excellence, resident teaching, mentorship, and leadership, being elected to the American Orthopaedic Association’s Resident Leadership Forum as well as being elected to their Emerging Leaders Program. Grants he has received include a Mid-America Orthopaedic Association Education Grant and a Northwestern University Undergraduate Research Grant. He has received patient satisfaction awards from Cedars-Sinai Medical Group. His contributions to the field include many research projects resulting in a number of articles in peer reviewed journals as well as book chapters on arthroscopy and hand surgery. His research has received awards and been presented at many conferences at the regional and national level. Dr. Tsai is fluent in and practices medicine in both English and Mandarin. Our practice has been in the Cedars Sinai Medical Towers for almost 40 years, under the guidance and leadership of Dr. Myles Cohen. We are a multidisciplinary physician group that includes orthopedic and plastic surgeons, specializing in upper extremity, hand, and reconstructive surgery. We strive for the highest standards of care on a personalized level.